The National Primary Schools cross-country races were held at Pestwold Hall in Leicestershire on Saturday 23rd March 2019. Many people within the Tees Valley area will not be aware of these races as the Tees Valley don’t send a team unlike other regions (eg Yorkshire & Cumbria) who bring teams from their regional finals. Hopefully in the future we may start sending a team based on the results of the Tees Valley finals at Stewarts Park. 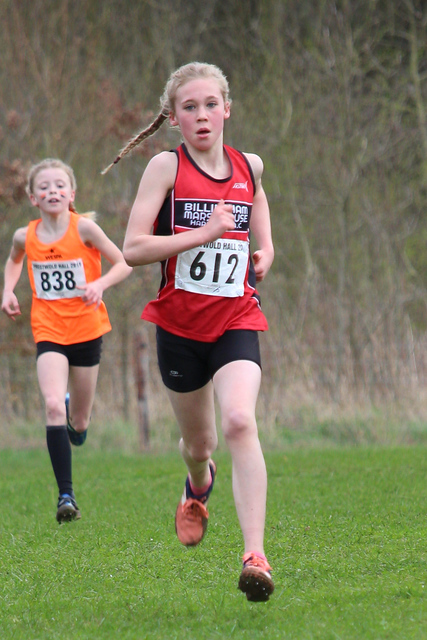 The races are open to all children, so we entered Sophie as an individual running for Billingham Marsh House Harriers. We travelled down to Leicester on the Friday evening and were one of the first to arrive on Saturday morning. The whole day was superbly organised with a marshalled car parking, areas for team tents, registration, toilets, food and hoodie stalls all well thought out. After getting Sophie’s number we had plenty of time to walk the course and watch some of the local Year 3 & 4 races. There were 342 runners in the Year 5 girls race and the first challenge is to get a decent position on the very wide start line. Runners were randomly allocated pens and then having to go through a narrow gate and sprint to the start line to get a place. Sophie managed to force her way to the front of her section. This is harder for individuals as the county teams seed their runners, so their fastest ones go to the front. Sophie got a better start than usual helped by her not covering her ears with her hands this time! She really doesn’t like the starting pistol. It was a frantic start as might be expected with many girls getting over excited and trying to take an early lead. Sophie was in about 10th place at the first turn which was ideal as she was ahead of the main pack that was very congested. The front four had a slight gap early on but Sophie and another girl closed this up quickly. There was a slight rise and as they left the first field there was a group of six runners very close together. A short technical downhill section soon split this group from six down to three, Sophie and two girls from the Wirral, and these three runners stayed ahead until the end. One of the girls from the Wirral was setting a fast pace and Sophie worked hard to sit on her shoulder while they descended then climbed up around the second field. Just before the girls re-entered the first field Sophie made her move and sped past the leader to open up a significant gap. She held onto this to win by a comfortable margin and looked strong at the finish. She finished in a time of 7:27 over a distance of either 1.8km or 2.2km depending on whose measurement you believe! The medal presentations were made by British athlete Gemma Steel. 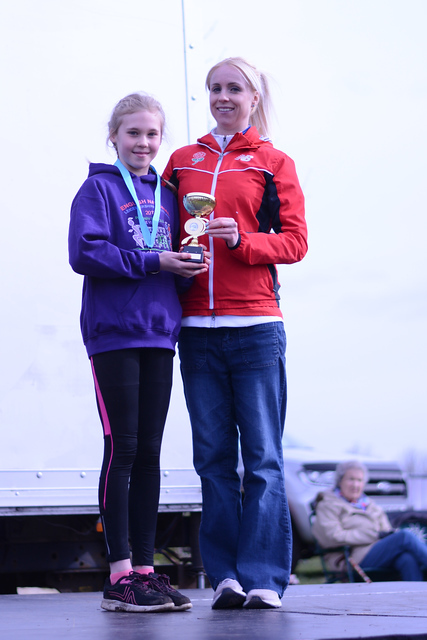 A lovely race report about Sophie Quinn’s National Primary Schools cross-country victory, written be her extremely proud Dad - Mike Quinn. © 2019 Billingham Marsh House Harriers AC.